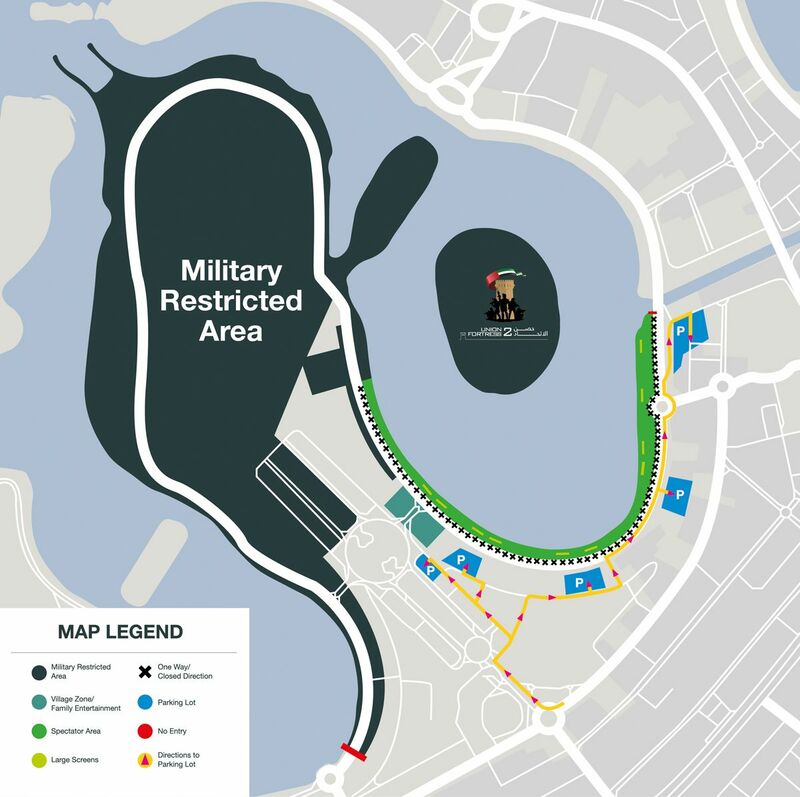 UAE, 24 October 2017: The UAE Armed Forces is in the final stages of preparations for the2nd Union Fortress Show in Sharjah on November 3, 2017, a show that will highlight the military’s collective role in safeguarding the security of the UAE, its citizens and residents. The organizing committee of the 2nd Union Fortress Show said that spectators will witness first-hand the distinctive capabilities of the armed forces in terms of its code of conduct, equipment and training to defend the UAE’s national interests and national security. UAE citizens and residents are encouraged to attend the event on Al Khan Corniche, Sharjah on November 3, to share in the feelings of pride, spirit of unity and show support for thededication and commitment of the armed forces members. The Organising Committee of the 2nd Union Fortress Show stressed the importance of following the special instructions and the venue map for those wishing to attend the event. The public should follow the specific routes to reach the designated parking the recreational village areas. The organising committee also emphasised the importance of not approaching or gathering at the prohibited military zones shown on the map.